Several factors contribute to periodontal or, gum disease. This includes plaque buildup, heredity and lifestyle choices. The most common and controllable factor is bacterial plaque. Gum disease is a common cause of tooth loss and Crosspoint Family Dental in the Billerica, MA area can help. Everyday, you take steps to prevent gum disease. Make sure you brush and floss consistently (at least twice a day), use an antimicrobial mouth rinse daily to help control plaque and schedule regular appointments with us. By scheduling regular dental appointments, Dr. Peysakhov and Dr. Turkenich can detect periodontal problems before the gums and bone supporting your teeth are damaged. Our doctors will perform a professional exam while examining your gums for any gum disease. Besides tooth loss, gum disease has been linked to the development of issues such as heart disease, stroke, diabetes and pre-term low birth-weight babies. 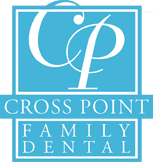 To schedule a cleaning or if you think you may have gum disease, contact Crosspoint Family Dentist in the Billerica, MA area to schedule an appointment. We can be reached at (978) 459-6467.